Schedules and Planners, Routines. Oh My! Creating a schedule or routine, even with a few new, shiny tools is sometimes misguided if there has been no basic training in the area of time management prior to this. Have you been in that place where you think, “What do I do?” You know you need to get your day off to a good start, but… then what? If you have ever thought, “What comes next, I was never taught to be a homemaker. I don’t know what to write in all of those boxes on those pretty planning pages.” Then the Elements of Christian Homemaking course is for you! “I’m so excited for my new planner. I just love it! This planner is such a blessing! Thank you! Step by step online videos. It’s all there. Everything you need to finally get on top of everything at home. 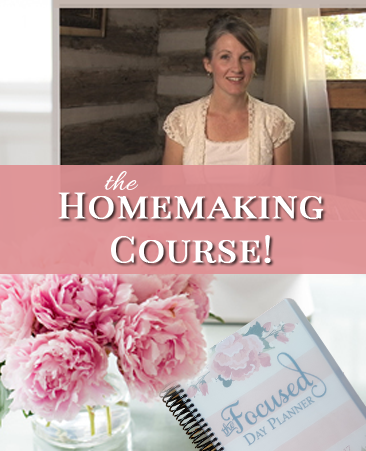 I’ve created a course that will teach you about Biblical homemaking, give you vision to be a Godly homemaker, and how to practice it in your home as well. You will learn not only how to use this unique planner, but you will learn how to create peace and order in your home. You will learn how to be joyfully disciplined, joyfully efficient and joyfully productive at home. 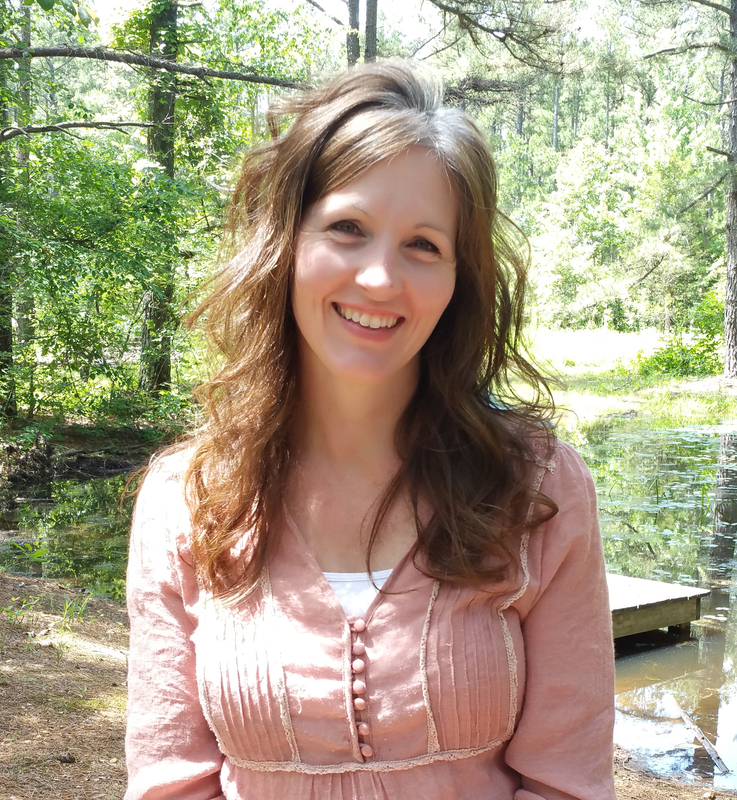 Is The Homemaking Course for Working Wives? “I have found the course to be so helpful! 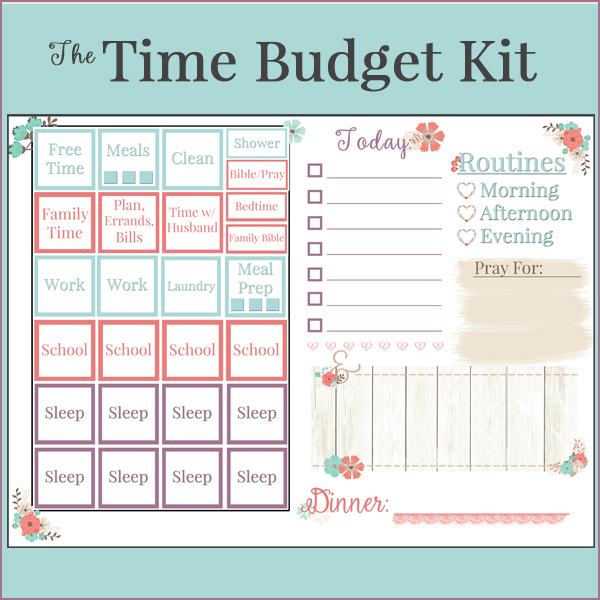 As a a mom who works full-time, homeschools, and takes care of my home, I really needed something to help me prioritize and organize everything that needs to be done. 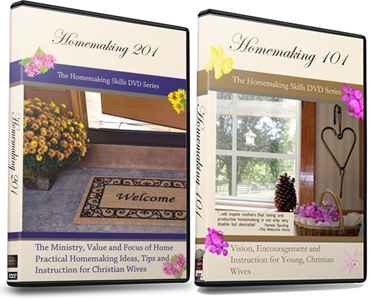 I have looked into many different homemaking courses, books, and blogs. All of the ones that had a Biblical focus were for stay-at-home moms and I found it very discouraging. It is my heart’s desire to be home full-time and serving my family but we are not there yet. I would often come away feeling so guilty and miserable. Instead of coming away with tools to help me serve my family, I came away defeated. On the flip side, anything I found that was designed for a working mom lacked the biblical teaching and encouragement that I so desperately needed. What I really loved about the course was how easy it was to make it work for me. I don’t mean to sound over the top, but both the planner and the [assignments] have been absolutely life-changing. I did not feel discontent or frustrated because of the course. Quite the opposite, actually. This course helped me figure out how much time I had available and decide how much time each task could take. I am able to prioritize what can get done during the week and what will have to wait until the weekend. It also helps me to break down my tasks into manageable pieces in order to accomplish little bits each day. The course is for Christian wives, with or without children. It is for those who are home full time, and those who are praying to be so. And it is for the woman who’s heart longs to make positive changes in regards to homemaking. I would love to take this course, but I’m expecting my firstborn in about three weeks. I don’t have time to take the course beforehand, and I’m sure that I’ll be too busy learning how to care for my baby and getting into those rhythms for the first few months afterward. Will enrollment be open for several months, or if not, do you plan to offer the course multiple times per year? I’d love to catch it next time. I typically offer the course again in the Fall, so that may work out better for you. If you join the email list, you'll be the first to know when enrollment opens again. I pray you have a smooth labor and delivery!